A-HOTEL.com - Luxury and cheap accommodation in Laykovo, Russia. Prices and hotel, apartment booking in Laykovo and surrounding. Situated in Odintsovo in the Moscow region region, 1-комнатная квартира в Одинцово features a balcony. Complimentary WiFi is featured. 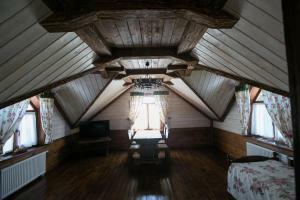 Situated in Odintsovo, Квартира в Одинцово ЖК Одинбург features accommodation with a balcony and free WiFi. Guests staying at this apartment have access to a fully equipped kitchen. Boasting air-conditioned accommodation with a balcony, Apartment in Edinburgh Complex is situated in Odintsovo. Guests have access to free WiFi. Situated in Odintsovo in the Moscow region region, Super-Studio Zhit Zdorovo on Severnaya 5 features a balcony and city views. Housed in a building dating from 2016, the apartment is in an area where guests can engage in activities such as skiing and hiking. Set in Odintsovo in the Moscow region region, Квартира в Одинцово посуточно 2х- комнатная features a balcony. Guests staying at this apartment have access to a fully equipped kitchen. Apartment on Severnaya is located in Odintsovo. This apartment features a bar as well as free WiFi. Apartment Odincovo Lux-1 is situated in Odintsovo. Guests have a private balcony. Mini-hotel Barskiy offers accommodation in Odintsovo. All rooms boast a kitchenette, a flat-screen TV with cable channels, and a private bathroom. Postoronnim VV Guest House is located in Dubki. Among the various facilities are a garden and a terrace. Featuring free WiFi throughout the property, Hotel of Volleyball Center of Odintsovo offers accommodation in Odintsovo, next to Iskra Sport Comlex. Guests can enjoy the on-site restaurant. Stylish, modern and newly built, Park Inn by Radisson Odintsovo is located in the business district of Odintsovo, near Skolkovo Innovation Centre, within a 15-minute drive of Crocus Expo and 20 km from Vnukovo International Airport. You can enjoy a chic bar, spacious rooms with free WiFi and a fitness centre. Set in Odintsovo in the Moscow region region, Apartment Borodinskaya has a balcony. Guests can enjoy the free WiFi.